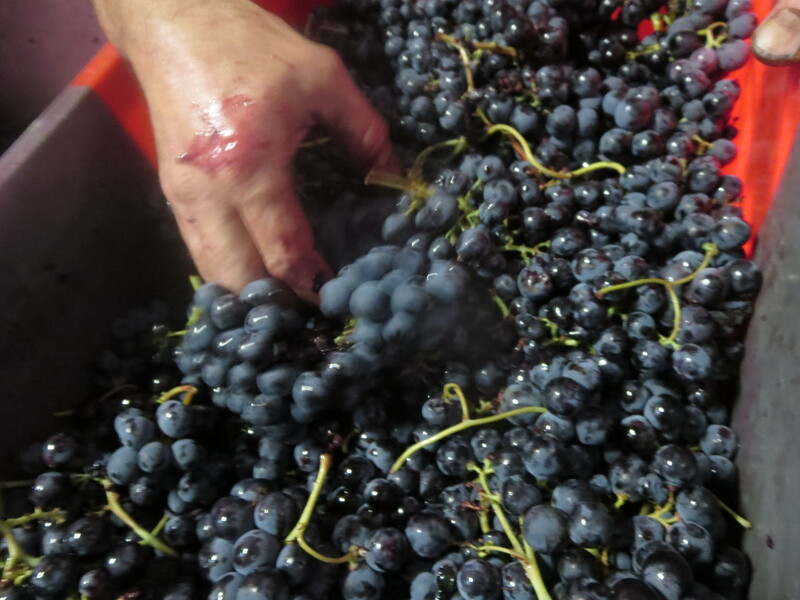 The Grenache you harvested and pressed has been added to large 26 litre bottles and is beginning its journey towards maturity and drinking. Yesterday was a superb day to be at Mas Coutelou. It started fairly routinely by continuing habillage, preparing bottles for sending to merchants around the world. 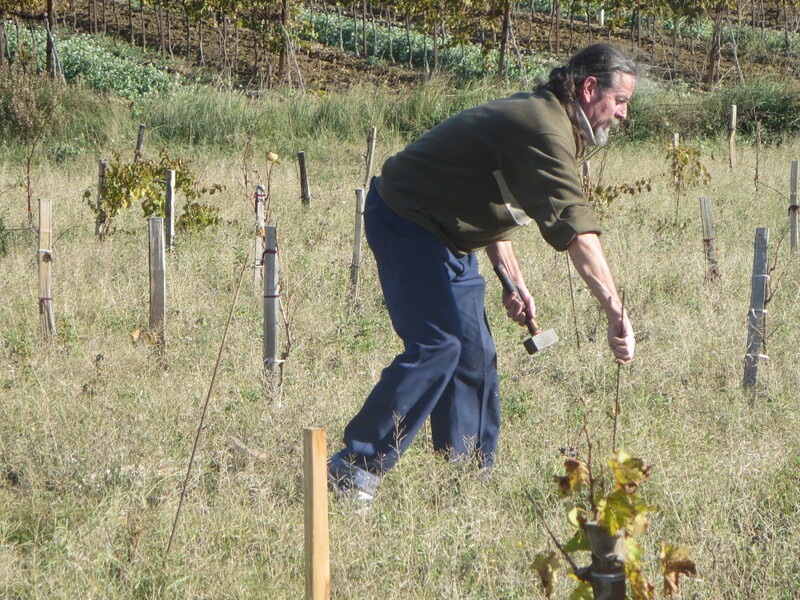 But then Jeff took me out into the vineyards to meet up with Michel who was already out there. 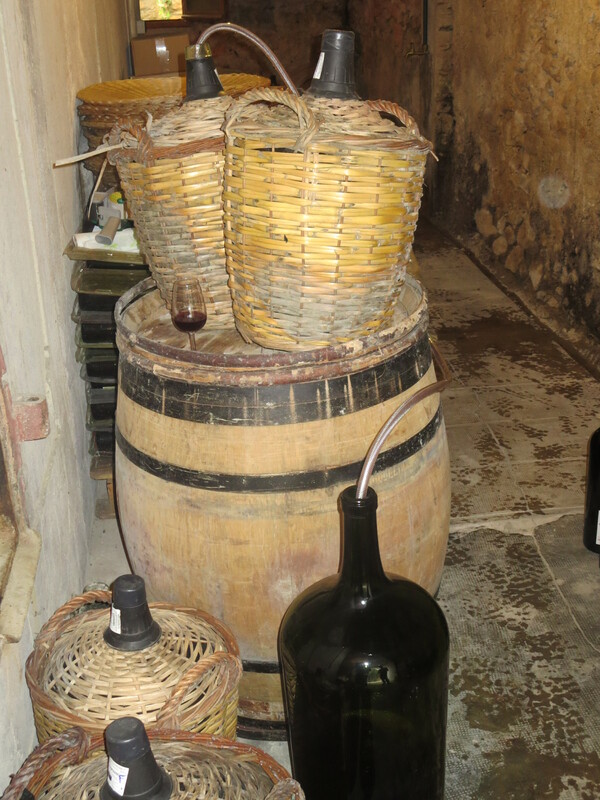 He was in a vineyard of young vines, including some of the almost forgotten variety Aramon Noir as well as other cépages. 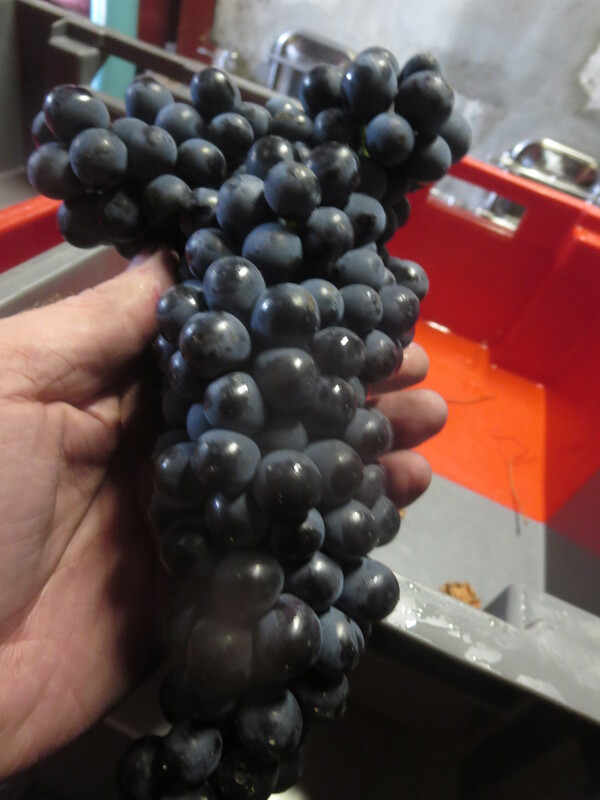 There is a mix of ages too with vines from this year and the last two or three years. 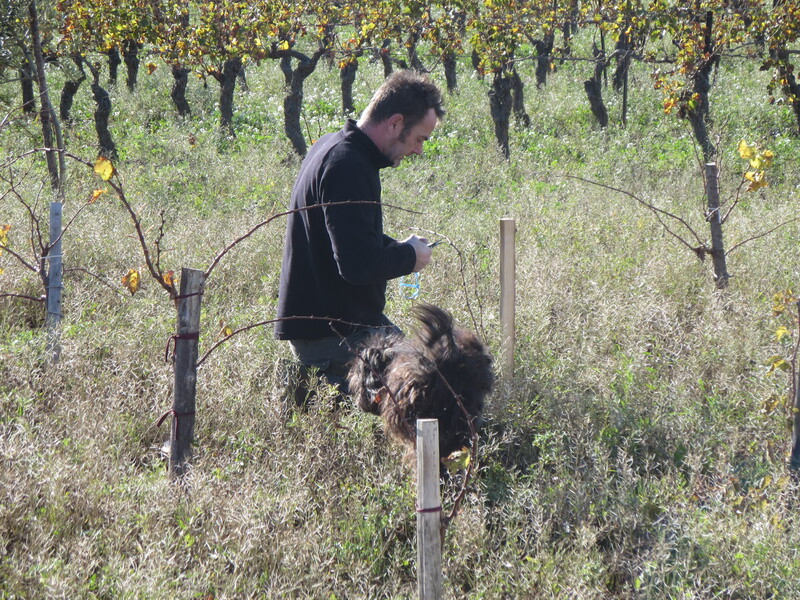 Michel, and then Jeff, were checking each vine to check on their health and progress since they were grafted. If the graft had not taken then they will be replaced later. 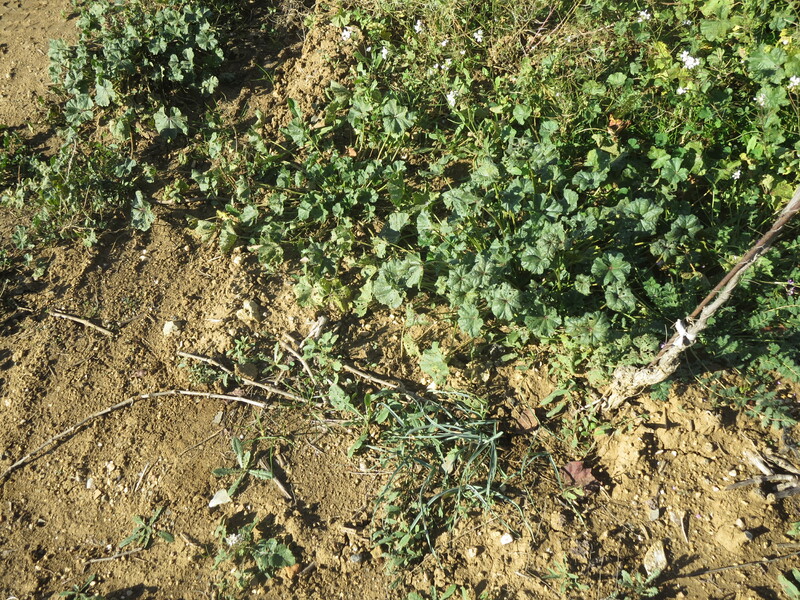 If everything was looking good then stakes were added to support the young vines in their growth. 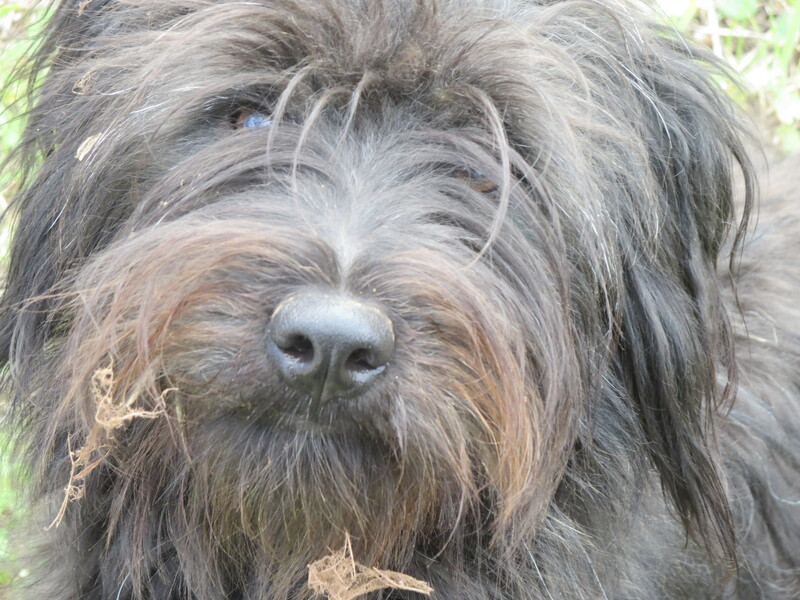 As it was a lovely, warm and sunny day it was good to be out in the open air. 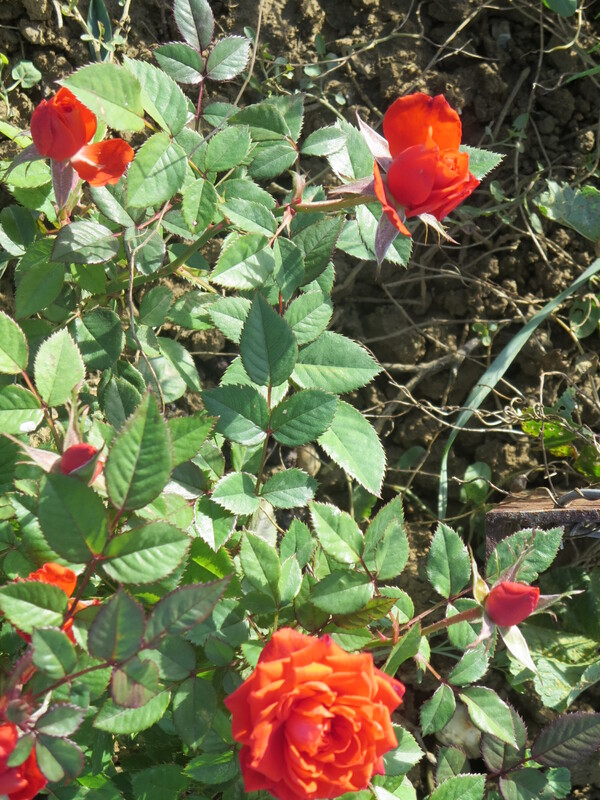 The weather has been remarkably mild and the vineyards were full of unusual sights for mid November such as flowering roses, wild leeks and wild rocket. 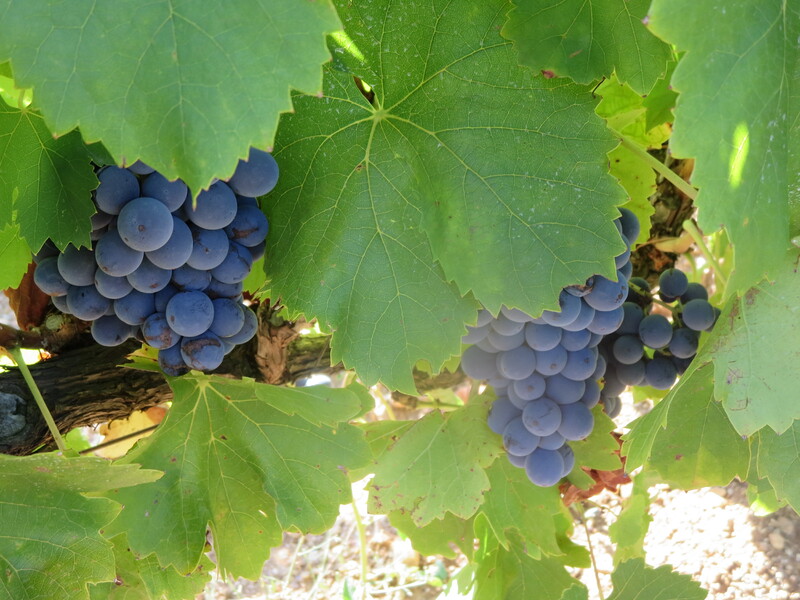 It was interesting to note the differences between two neighbouring vineyards. 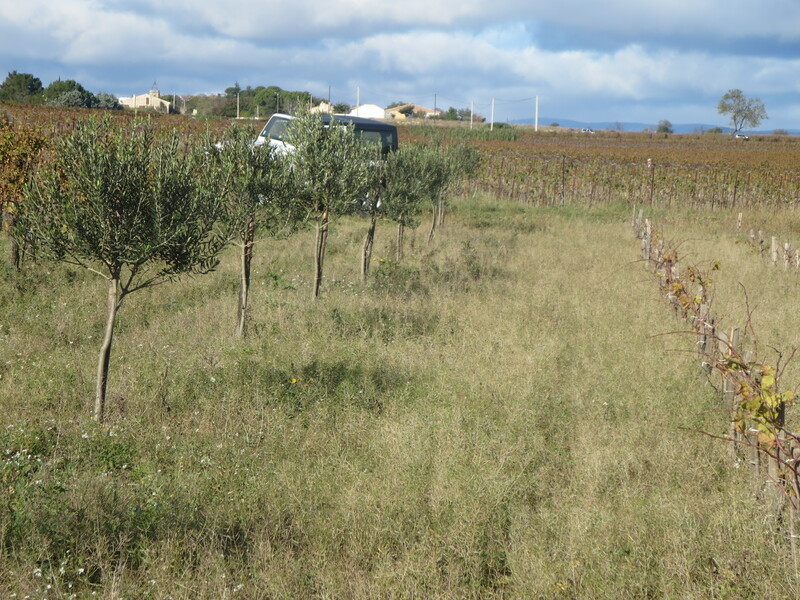 Jeff’s has vines living in soil which supports wildlife and olive trees for diversity. 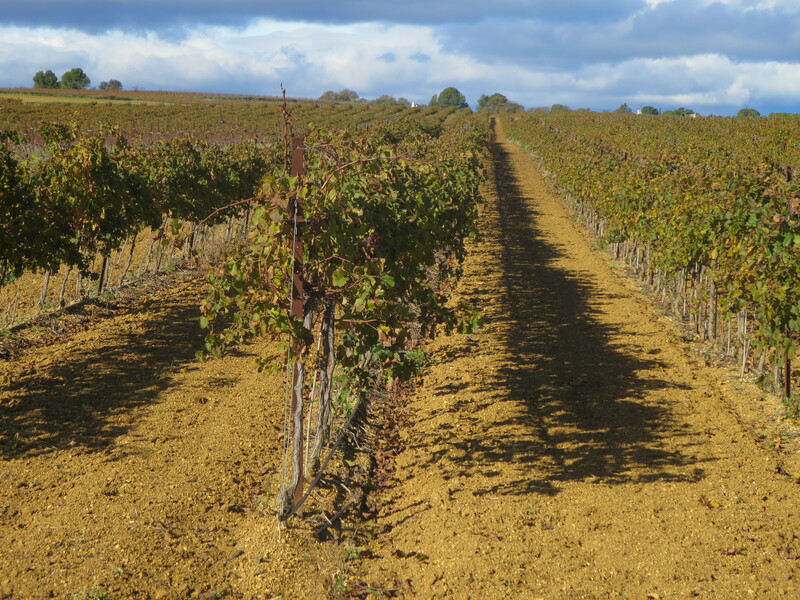 A neighbour’s vineyards show clean soils with neat rows of vines. How are they so clean? Fertilisers and chemicals. 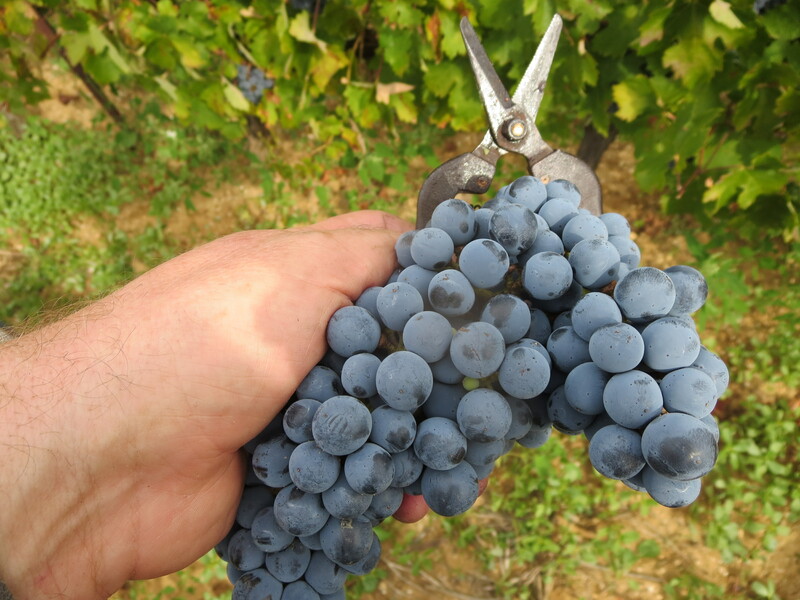 Here are obvious differences in ideas about wine and agriculture in general. 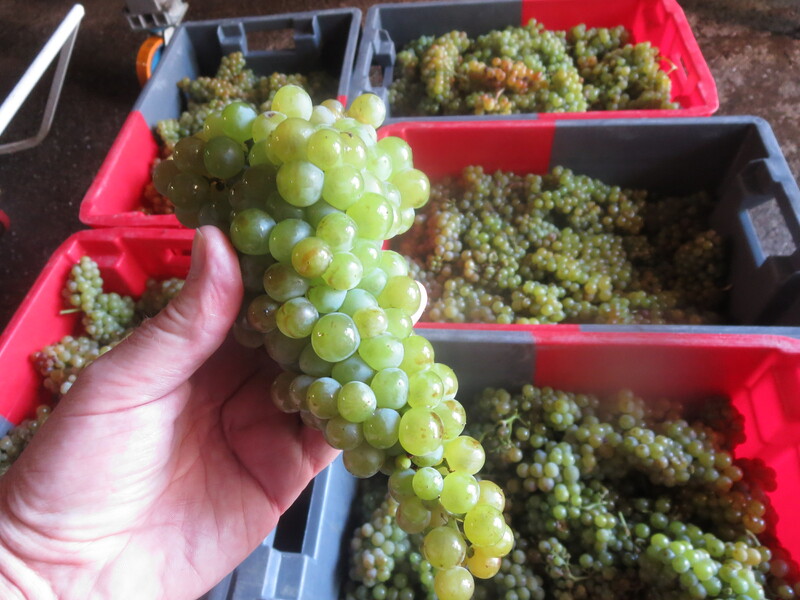 Personally I am becoming ever more convinced that organic, minimal intervention is the way to healthy and tasty wines but others will disagree. After lunch Jeff decided it was time to put into bottles the Grenache harvested in late September by the Rugbymen and ourselves. 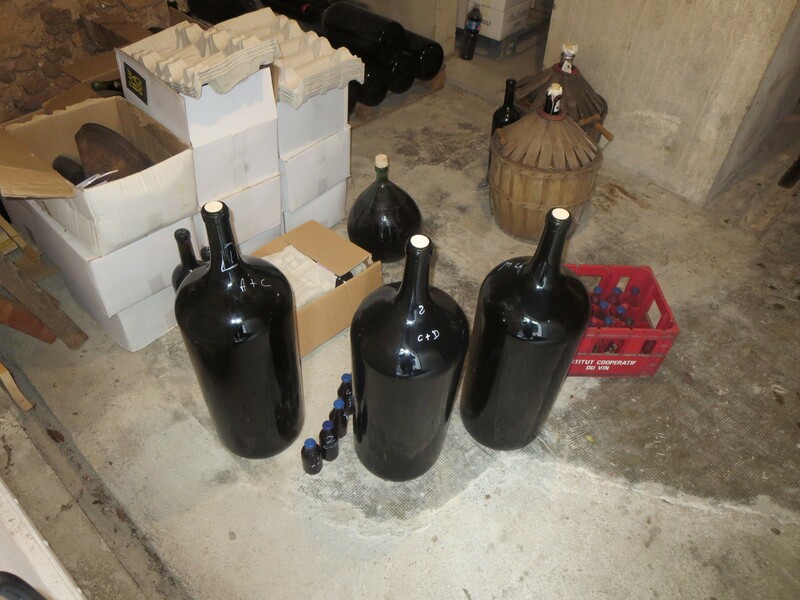 The wine had been placed in a series of bonbonnes after pressing and we tasted each one to look for the best assemblages, eg bonbonnes B and E had a sweeter edge so were mixed together in a large 26 litre bottle. 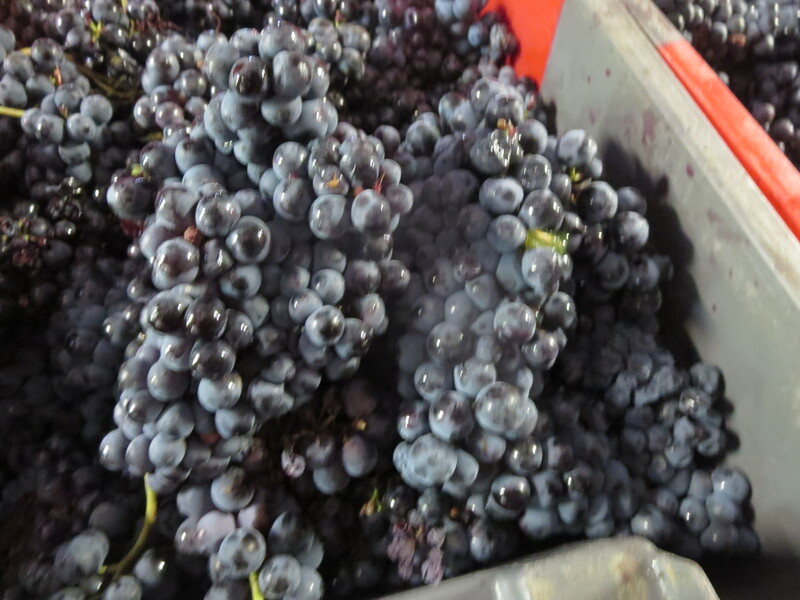 The bottles were enormous and 8 were filled with the Grenache. As the work finished for the afternoon we were joined by Jeff’s niece Flora, a talented photographer. Jeff opened some Vieux Grenache as he checked on the progress of some new small barrels used in a new solera system to supplement the older more established one. Some bottles from 20, 30 and even 40 years ago were sampled and were truly delicious, rich with layers and layers of different flavours and varying from dry to sweet. 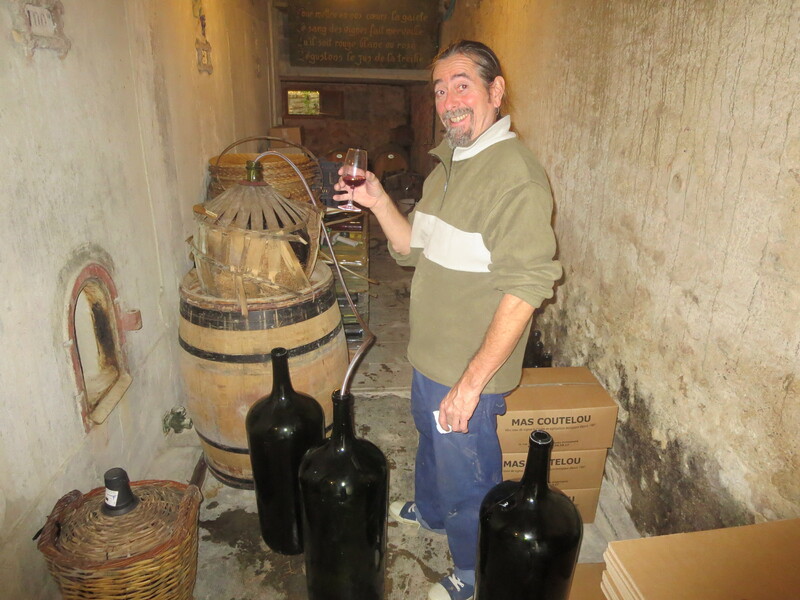 Finally he took a sample of a very special bottle, Sélection Des Grains Nobles 2012 made with Grenache Noir. 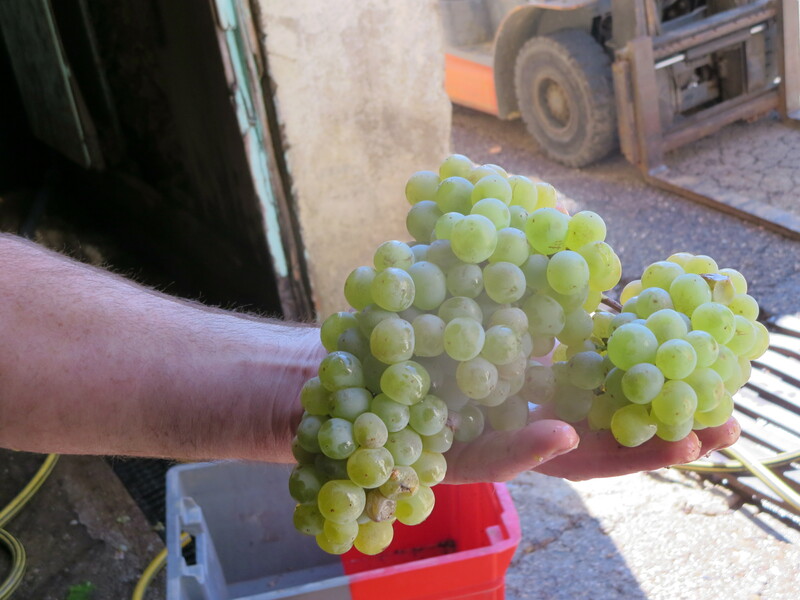 Apparently some of the Grenache was affected by noble rot that year and Jeff and Michel spent a whole day doing triage to ensure only the right grapes were selected. The result even after two years is astonishing. My mind was truly blown. How to describe something so stunning, ethereal and rewarding? One of the very best wines I have tasted and a fitting climax to a truly memorable day which was full of sunshine, teamwork and friendship. 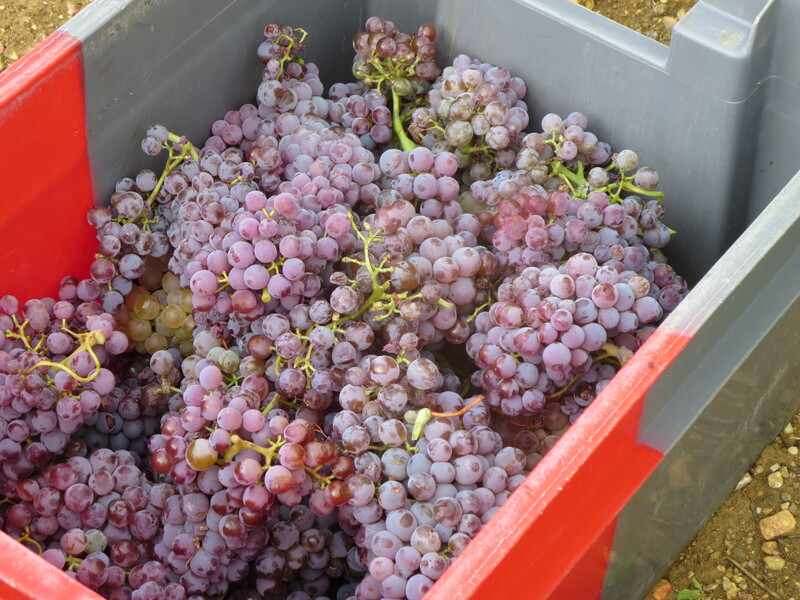 Categories: Tasting, Vines, Wines | Tags: Aramon, biodiversity, graft, Grenache, Jeff, Michel, noble rot, organic, solera, vieux grenache | Permalink.